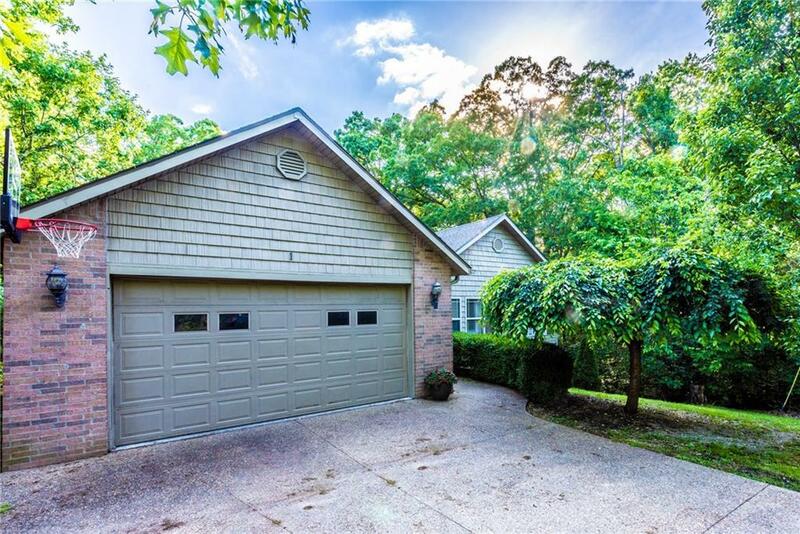 Beautiful & Private 3BD/2BA home on .30 acre landscaped lot featuring spacious Living Room with wood flooring, cathedral ceilings, in-direct lighting & gas log fp, Tiled eat-in kitchen w/ granite, abundant cabinetry, backsplash & double sinks, large MBed w/ tray ceiling & crown molding, His&Her sinks in Master Bath, walk-in shower & WP tub, cabinetry in utility & large back deck with a wooded view. Less than 1Mi from Branchwood Rec Center, Close to dog park & baseball field! Minutes from Lake Loch Lomond!